You pay your insurance on time, every month or annually, to ensure that when something bad happens to your vehicle, you are covered. Today, insurance premiums are substantially more expensive than they ever have been in North America, predominantly due to increases in personal injury claims, medical expenses, and other litigation and settlement costs that can arise from a motor vehicle collision. In exchange for the premium insurance prices, consumers expect top-level customer service and protection. 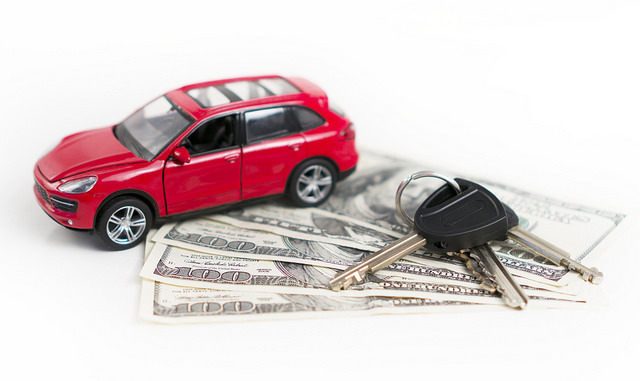 It is important for every driver to understand the details and fine print included in their private motor vehicle insurance policy to avoid any surprises, lapses, or limitations in coverage. However, what can a driver do if they have governed their due diligence as a policyholder, and the insurance company or adjuster refuses to compensate per the terms of the policy? Worse yet, what can a driver do if the insurance company engages in fraudulent or illegal practices to reduce entitlements, payments, or compensation owed through the policy? The scenario of a motor vehicle insurer acting in bad faith happens more frequently than policy holders would imagine. From a legal perspective, it is important for drivers to understand their legal rights and what to “do next” when they are confronted by a case of bad faith from an insurance provider. We’ll explain how it happens, and the appropriate steps that drivers should take, if they suspect or experience acts of “bad faith” from their insurer. We all understand that insurance companies are first and foremost businesses, which need to make a profit like any other organization. Collecting annual insurance policies from millions of consumers comes with a long list of responsibilities and duties that are owed to customers in terms of the provision of service after an accident. Bad faith is when a third party’s insurance company, and/or claims adjuster has engaged in lies, illegal activities, bullying, tampering, or other criminal activities to distort evidence and thereby reduce the value of the settlement or compensation for an insurance claim. Refusal to pay a valid insurance claim. Extending the payment period of a claim or settlement. This is also known as “waiting out” a client, particularly an individual who has a terminal or chronic, life-threatening health condition. Refusal to compensate or provide legal counsel as part of the claim and insurance case. Failure to authorize essential medical care or treatment that pertains to an injury that has been qualified through insurance coverage. Failure to provide justification for denial of a claim for compensation. Threats to appeal arbitration awards while attempting to pressure the insured or injured to accept a settlement that is less than what was awarded to the individual. While automotive, health, and life insurance policies and provisions are highly regulated in the United States and bound by contract law, that unfortunately does not eliminate opportunistic divisions within some of the most reputable national and international insurance providers from engaging in fraudulent activities. Are Compensation Models for Claims Adjusters Part of the Problem? Did you know that a claims adjuster for an insurance company is not typically paid on an hourly basis? In most insurance organizations, claims adjusters work under a highly lucrative arrangement with insurance companies that is based on cost-saving a commission structure. The insurance claim adjuster is a representative of the insurer, and responsible for approving all expenses and entitlements that the consumer should have access to through a valid policy and contract with the insurance company. However, each claims adjuster is given a top-figure, called an “authorization” in settlement and case management situations – a figure that they are not permitted to go beyond, in terms of expense on the case. However, claims adjusters are paid a bonus that is based on a percentage of the amount they can essentially save the insurance company, and therein lies a potential conflict between service, motivation to earn, and integrity. If a claims adjuster can save the insurance company 10 percent below the ‘authorization’ amount, they will earn a bonus commission at a specific rate. If the adjuster can save the insurer 25 percent below the authorized amount, they will earn an increased bonus, based on the money saved. This structure creates in some a criminal motivation to misrepresent information and even engage in fraudulent behaviors and criminal obstruction to save the employer (the insurance company) money. Some states have stringent provisions that help protect consumers. Insurance bad faith in California for example, allows plaintiffs to recover damages for breach of contract when an insurer has refused to provide the services and representations outlined in the contract. Additional provisions are also allowed for consumers who wish to seek economic losses, legal costs, and even emotional distress caused by bad faith damages. If your insurance company has provided obstacles in accessing your medical treatment, monetary settlement, legal records, or if they have behaved in a manner that is harassing or intimidating to reduce your settlement or entitlements, you may have a case against your insurer for bad faith. A consultation with legal counsel who is familiar with contract law and insurance cases is advised for anyone having trouble with the claim administration.